Modern, stylish design – a flat glass door provides the highest quality look and feel. Consumer friendly interface, a choice of numeric or build-a-drink keypad to suit the location. Oltre brewer provides consistently high quality tea and coffee beverages. Available with 7oz, 9oz or 12oz cups, up to 800 cup capacity with the Crane cup drop unit. Surevend™ guaranteed cup delivery system fitted as standard. 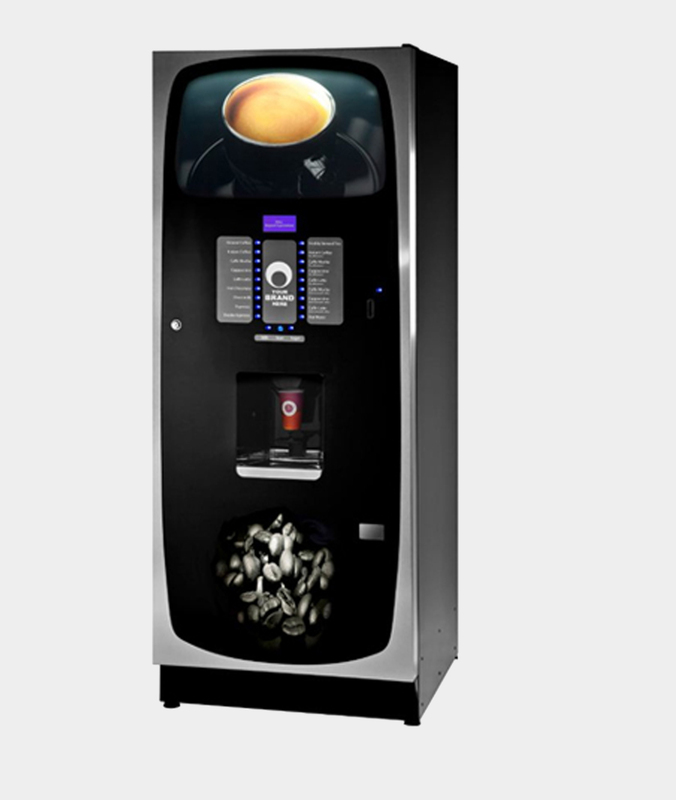 Power save mode reduces energy consumption but keeps the machine “vend ready”. Operator friendly – easy to clean and service. Common components and simple machine programming.